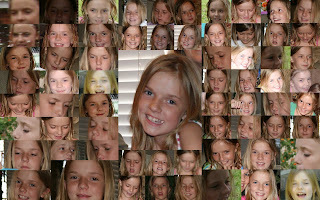 These are collages of the girls I made. They are growing up too fast. This video is really neat. I closed my eyes and it really does sound like an African rainstorm. I hope you enjoy it and may get a little taste of the rainstorms we get to go through. This is a video that Amber Elizabeth's teacher, Lisa Kowalski made while they were hiking Nkhoma Mountain. She takes her kids once a term on a hike for fun. She is a great teacher and the students really love her; at least I know Amber Elizabeth does. 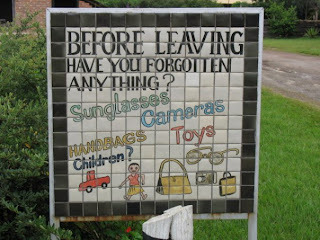 Here are some real signs that have been seen in Africa. We see some that are very similar to these in Malawi everyday. We hope you enjoy them. This is Vanndel Chinchen in Zomba, Malawi. 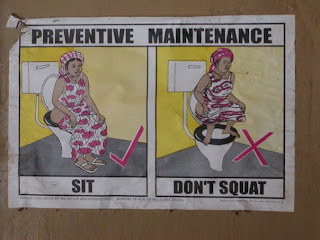 The sign says, "Toilets 4 U 2 P Zimbuzi." 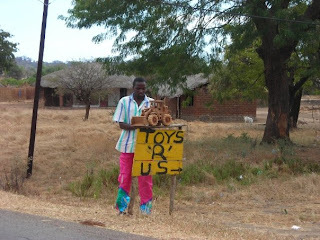 This is in Malawi near the lake. 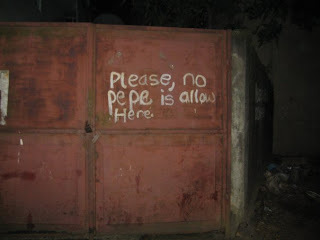 I'm not sure where in Africa this was. 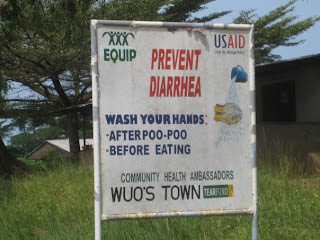 I'm not sure where in Africa this sign was. This is in Dedza, Malawi, at Dedza Pottery. Be sure to look at the bottom left corner. 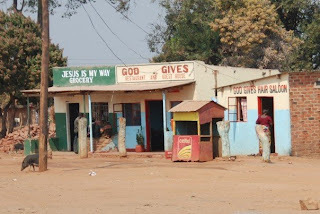 The signs say, "Jesus is the Way Grocery,"
"God Gives Restaurant and Guest House,"
and "God Gives Hair Salon." 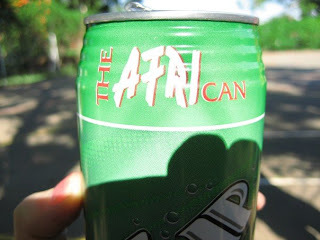 I have see this is in Malawi, but not sure where. 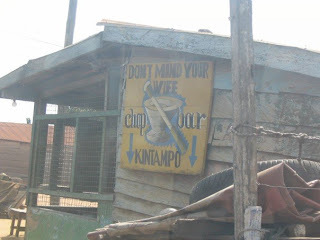 The sign says, "Don't Mind Your Wife Chop Bar." Lisa Kowalski, had this can. I'm not sure where this hotel is. Well, I hope these pictures have brought you a little chuckle. Reading Day at the academy is a day where the students and teachers dress up as a book character. This was started by our First Headmaster, Dan Linsz, and has continued as a tradition each year at the Academy. We emphasize reading and the importance of reading by inviting special guests to read to the class. Each teacher plans a fun day of reading to the children, sharing books, silent reading, reading theater, or whatever other creative ideas a teacher has. This is a picture of the three award winners in my 4th grade class. Renier Veitch (from South Africa) received most original, Molly Grace received cutest (yes, I am biased, but you do have to admit she is cute), and Ryan Saywood (from Zimbabwe) received best homemade. This is Sarah Rose in the school-wide parade. This is my 4th grade class. This is a picture of the two Snow Whites, Sarah Rose and Michelle Halemeier (Sarah Rose's teacher). This is a picture of the girls and me. Sarah Rose is Snow White, Molly Grace is Raggedy Ann, Amber Elizabeth is someone from a book she was reading at the time, and I am Little Red Riding Hood. International Day is our version of American Thanksgiving Day. We get together as a school and everyone brings their favorite dish of eats from their home country to share with the school. We emphasize how thankful we are for our homes and cultures. All the children and staff dress up in their native costume or dress. This is a picture of my class. I have students from America, Malawi, South Africa, Zimbabwe, Lebanon, Russia, Italy, England, and New Zealand. 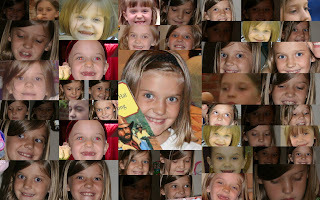 This is Sarah Rose's Kindergarten class. This is Sarah Rose and Megan. Megan is from Malawi. This was just a sampling of all the WONDERFUL food that we were able to enjoy. Levi Chinchen is a baseball player from America, Molly Grace is Brett Favre (when he played for USM), and Maziko Theu from Malawi. Thank y'all for all your love and support. We love y'all. Well, prayer works! In our last letter, in an effort to create the impression of humble contentment (ha! 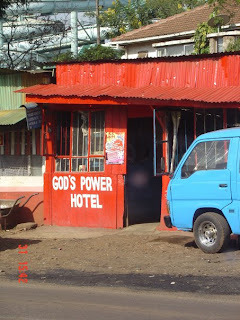 ), we asked you all to pray that the fuel crisis and electrical problems in Malawi would worsen. We encouraged this because we are surrounded by people who have nothing, and it is a good dose of reality for us. And the lesson remains for us all: We do not depend on God until we are forced to. And we need to depend on Him. What else is there. So we hoped in worsening, those illusions would strip away. Okay, thanks for all your efforts! It has worked. The country's fuel crisis has worsened, electricity is worsening, and we continue to be stuck. Malawi has now gone a month without fuel. The leaders are playing games with the devaluing of the nation's currency and fuel is being held hostage. The nation is beginning to splinter and soon we will be lacking things like food and healthcare supplies (not necessarily for us but for the collective "we"). Our outreach ministries and rural preaching opportunities are being curtailed as well. 1. Thank God with us that we continue to see students at ABC and the people in the many churches we visit drink up the gospel. No matter what negativity you ever hear from the "real stories" we share, please know this: Jesus Christ is at least respected and people will hear you out. The many in abject poverty have open ears because there is nothing else to lean on. Pray the Lord will stir that soil and enlighten them with the gospel truth. 2. Thank God with us that He never goes without a witness. Pray for the many who truly know the Lord and risk their cultural standing whenever they speak the truth. Like us, our students struggle with "letting the dead bury their own dead." Pray for their courage in being faithful and true to their calling with their own who desperately need light. 3. Thank God with us that African Bible College continues to be a faithful witness of the gospel to children at the ABC Christian Academy, the sick and dying through the ABC Clinic, the multitudes (we estimate 350,000 listeners a day) who hear the gospel through our radio stations, and, of course, the influence that our college students (if you could only see what we do) have all over the place. 4. Please offer also a prayer for zeal, vigor, and strength. We are tired. That is typical to every job, we know. But when these external circumstances meet internal fission, collapse is possible. LeAnne and I (LeAnne especially) have numerous jobs. We, of course, delight to have all the opportunities. But with such a scarce pool of resources and personnel to draw from, we find that jobs must be done and we (LeAnne especially) will get asked to undertake. Pray for strength. AND pray for the Lord to bring us more help, more teachers, more supporters, more assistance to share in these delightful burdens. May God richly pour His grace on you, our dear friends. Your loving support is so important to us. Thank you for being a faithful witness to us, and through us, to the world, for our Lord. As you can tell, Amber Elizabeth hates her picture being taken. 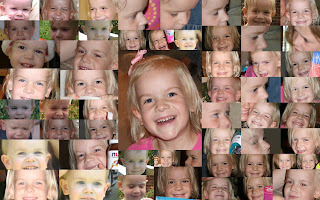 I keep telling her when she doesn't smile or makes a funny face, that I am going to put those pictures on our blog. So here they are. Hope you enjoy them as much as we do. And then there's Molly Grace who really does love her picture being taken.